Be a daring soldier and attack the enemy. Drive missile truck 2017 simulator, defeat the enemy and save your nation. You have never experience more realistic missile launcher simulator 2017 game before, so get the roller coaster of adventure and thrill. This is the unique army missile attack war game that will take you to the unseen domain of battlefield with more realistic and exciting 3D effects will capture your attention. 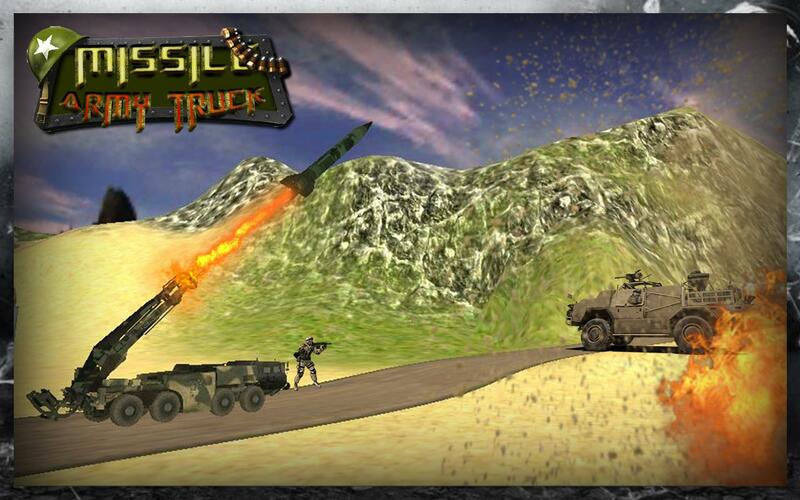 Be an Army truck off road driver and champions your gaming skills to a new level. You are a passionate and brave soldier and want to save your nation by bringing down your notorious enemy. The game takes you to the war zone with mountains and plateaus which has never been so realistic before. Your enemy is already building up the force and you have to destroy your enemy’s secret locations. You will be given different missions where you find a new challenge waiting for you like destroying the convoys and air bases. Explore the new exciting army mission with 3D missile launcher 2017 simulator to get the lifelong adventurous experience. So to test your gaming skills, just get on the modern Battle missile truck simulator to explore your freaking war game passion. The game provides you with awesome army truck which is used to carry 3D missile launcher simulator to launch your missiles to destroy the enemy bases. Aim your missile launcher to enemy’s most important location, which will be specified in each level, select your range and destroy the enemy. You have to defeat the enemy so muster up your military skills and battlefield tactics to win the battle. A range scale is given to you to select the range of your missiles so in this way, you can control the range and direction of your missile. Destroy your enemy locations in each level and be a victorious and patriotic soldier otherwise you will lose the level. You have never explore the aura of adventure and war zone, so just join the army mission and be the exceptional hero of the Army missile attack war game. As a brave and experienced soldier you drive your 3D Army Missile Truck with great precautions on the areas comprised of plateaus and off roads by tackling hurdles on the way. You have to bombard enemy bases with your missiles. This game will be offering you a thrilling chance to explore its exceptional background scores and sound effects. Drive this crazy army us missile launcher to get thunderous experience of gaming. This is not a typical game of 3d tractor simulator and there is an exceptional missile parking game that give a journey of luxury in new prado. Army Attack missile truck 2017 is all about action and chaos that takes you to real battlefield. Initiate the destructive attack on the enemy with Missile launcher by applying all your military and warfare tactics, and don’t give any second chance to your opponent to fight back. 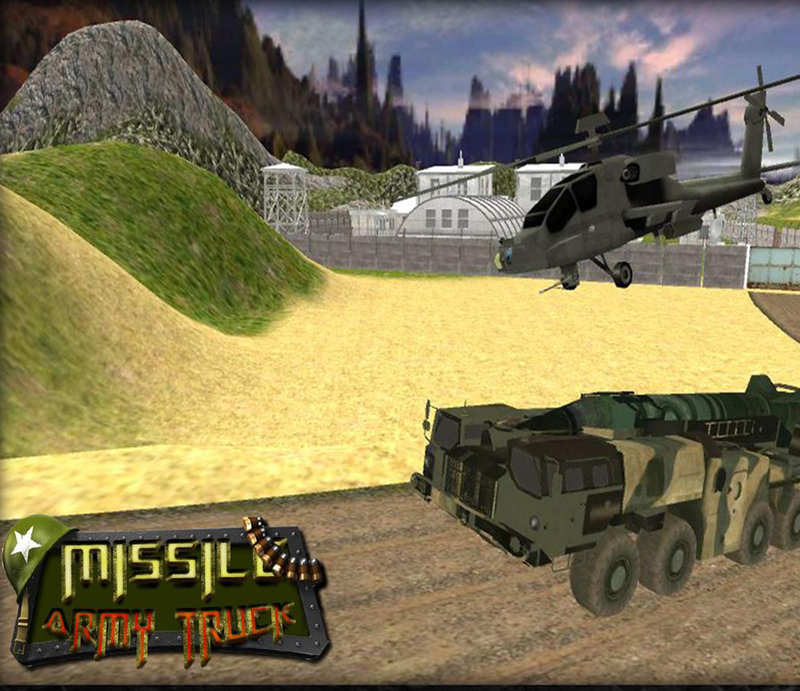 Complete each mission and be a legendary soldier of Missile Launcher Army truck simulator game. So without any delay just grab this astounding 3D Army Missile attack game 2017 and download it now.